Nivolumab is now approved to treat metastatic squamous non-small cell lung cancer, although adverse effects such as serious immune-mediated diseases have been observed. The FDA has expanded the approved use of nivolumab to include patients with metastatic squamous non-small cell lung cancer (NSCLC). As the most common type of lung cancer, NSCLC affects nearly 90% of patients with lung cancer. Used to treat tumor progression on or after platinum-based chemotherapy, nivolumab blocks the signals by which lung cancer inactivates T cells, thereby helping to restore the immune response. In a randomized trial comparing nivolumab with docetaxel in 272 patients, those who received nivolumab lived, on average, 3.2 months longer than did those on docetaxel (9.2 months vs 6 months). Another study followed 117 patients with metastatic squamous NSCLC who previously had platinum-based therapy and one or more additional systemic therapies. Of those, 17 patients (15%) experienced partial shrinkage or complete disappearance of the tumor; in 10 patients, the response lasted ≥ 6 months. In that trial, the median time to onset of response was 3.3 months after the start of treatment. The duration of response ranged from 1.9 to 11.5 months. The most frequent adverse effects (AEs) are fatigue, shortness of breath, musculoskeletal pain, reduced appetite, cough, nausea, and constipation. Because of the mode of action, nivolumab can cause the immune system to attack normal organs and tissues, which means some of the most serious AEs are severe immune-mediated diseases, such as pneumonitis, colitis, and hepatitis. Nivolumab was approved in 2014 for IV use, based on tumor response rate and durability of response. According to the manufacturer, Bristol-Myers Squibb Company, which conducted a study of patients with advanced melanoma, the single-arm, noncomparative interim analysis of the first 120 patients who received the drug showed a 32% response rate: 4 patients achieved a complete response and 34 had a partial response. The response lasted from 2 to 10-plus months; 13 patients had ongoing responses of ≥ 6 months. U.S. Food and Drug Administration. FDA expands approved use of Opdivo to treat lung cancer [press release]. Silver Spring, MD: U.S. Food and Drug Administration; March 4, 2015. OPDIVO [package insert]. Princeton, NJ: Bristol-Meyers Squibb Company; 2015. Food and Drug Administration. 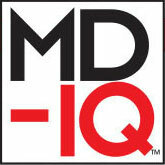 FDA approves Opdivo for advanced melanoma [press release]. Silver Spring, MD: U.S. Food and Drug Administration; December 22, 2014. How Much Is Too Much Cancer Screening?